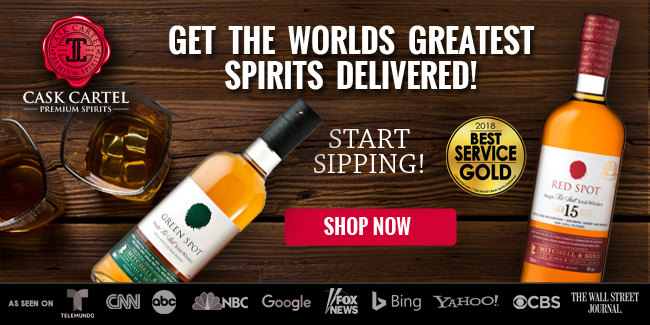 We were quite excited about this line from the beginning, and have been following it since we first read the article in The Bourbon Review pertaining to the first voyage. With that in mind, our excitement has worn off as we've been unable to find much information on what goes into making this bourbon beyond Voyage 2. We believe a large draw to this line in the bourbon community is due to its experimental nature which is very interesting, however the lack of information available left us perplexed. 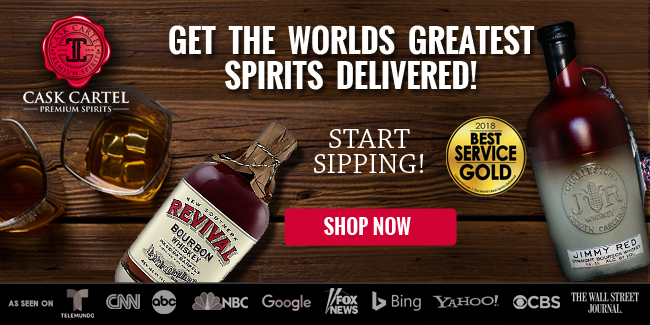 Is this all just a marketing strategy as some theories suggest, or is this an interesting experiment in bourbon aging? We reached out to Jefferson’s with some specific questions to try to get to the bottom of this. We were happy to receive our information directly from Trey Zoeller, Jefferson’s founder and person behind the aged at sea idea. Our questions and Trey’s answers are below. 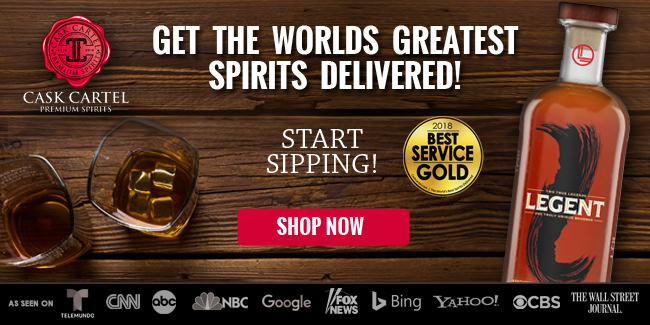 ‍Breaking Bourbon: What is the mashbill(s) for the Voyages? Has it varied by Voyage? 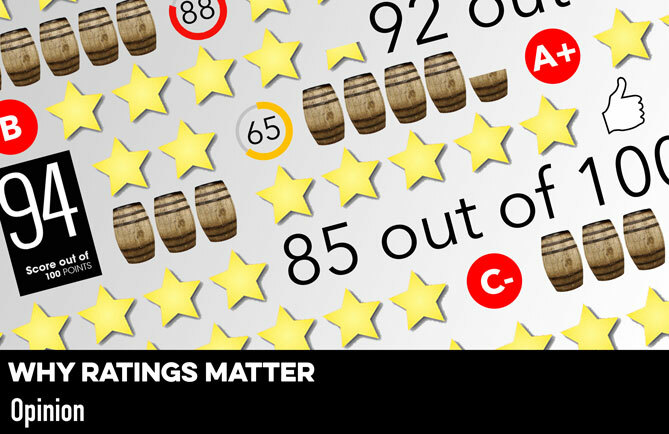 ‍Breaking Bourbon: What is the approximate age of the bourbon now going into these releases? ‍Trey Zoeller: 6 and 7 years old. ‍Breaking Bourbon: The label change as of Voyage 3 indicating Kentucky Straight Bourbon implies that the source is different than the first 2 Voyages. Consequently maybe the mashbill and relative age are different as well (as mentioned previously). 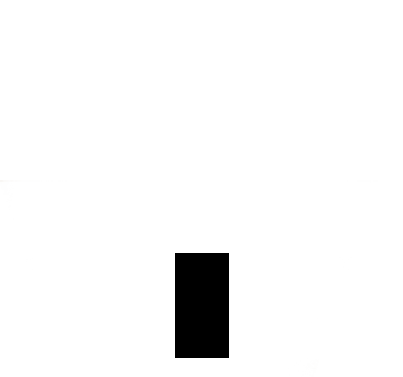 Can you expand? ‍Trey Zoeller: First was KY, second came from Indiana and 3-6 and going forward are all KY. 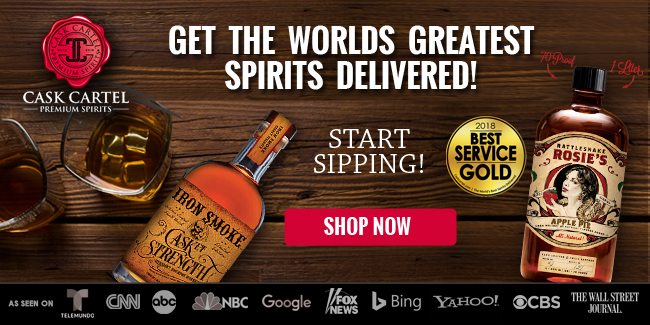 Breaking Bourbon: Are the different Voyages truly different ships / trips, or is this simply a marketing strategy? ‍Trey Zoeller: Each voyage are truly different ships. 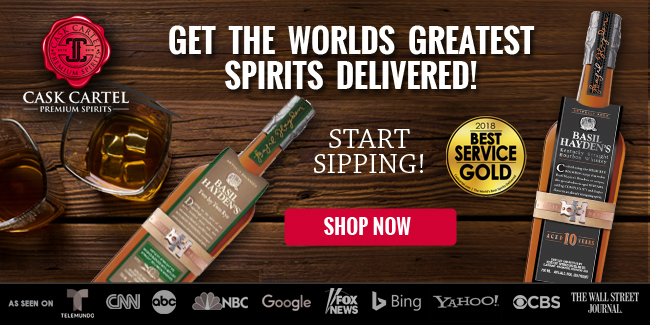 ‍Breaking Bourbon: Does all of the bourbon in each batch / Voyage spend time at sea, or is this blended with bourbon that does not spend time at sea? 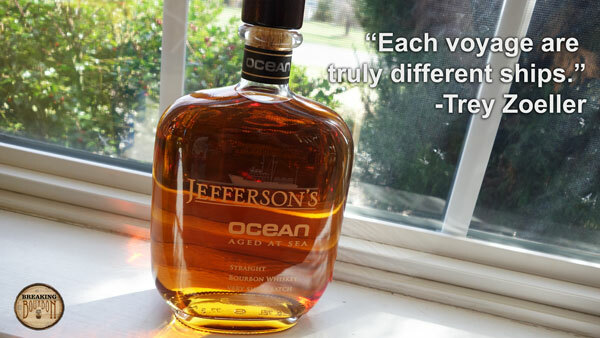 If blended, what's the approximately percentage of ocean-aged bourbon? 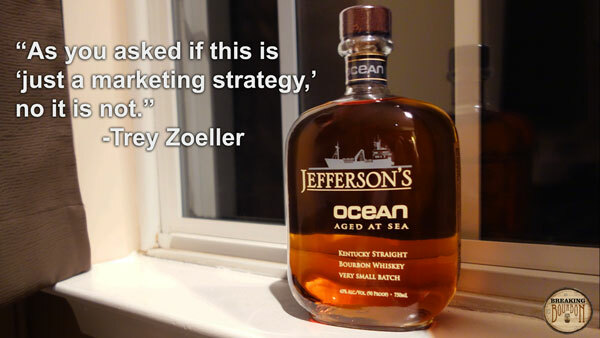 ‍Trey Zoeller: All of the bourbon spends time at sea. Breaking Bourbon: After Voyage 2 we've been unable to find anything regarding how long this is aged at sea and under what conditions. What temperatures (where's it traveling)? If in a container (via container ship) are there any modifications to the container to help airflow (cross-drilling, air space inside the container, container positioned on the outside of the stack to allow better airflow)... most importantly is the container stored above or below deck and does it get direct sunlight? ‍Trey Zoeller: It is a container, we get reports of the average daytime temperature and relative sea conditions (rough, moderate or calm). We have cut air vents and have outfitted our containers with barrel cradles to keep the barrels from crashing into one and another and allow them to lay on their sides. In our agreement we keep the barrels on the top layer at the bow of the ship, so yes it is getting direct sunlight. ‍Breaking Bourbon: Would you consider a release of both the before and after ocean aging, maybe a 375ml 2-pack? 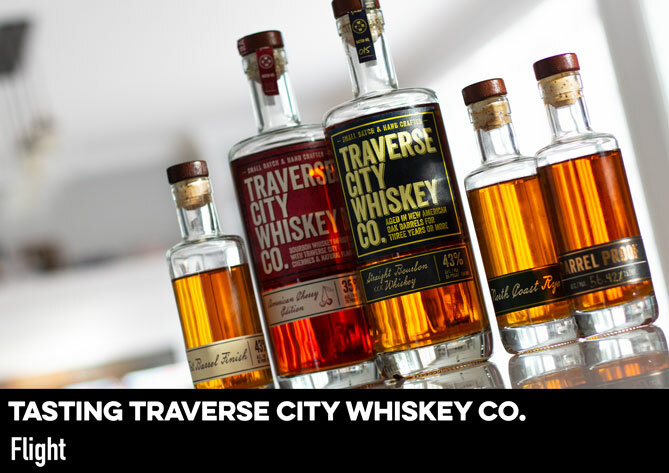 We'd be really excited to taste the difference as you have, being able to compare exactly what the bourbon tastes like before and after the ocean trip. 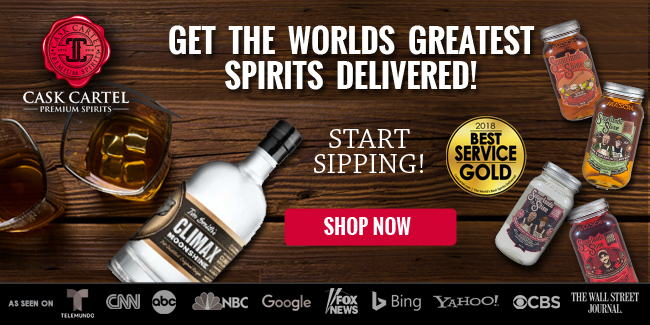 If not this, is the before-bourbon already available? 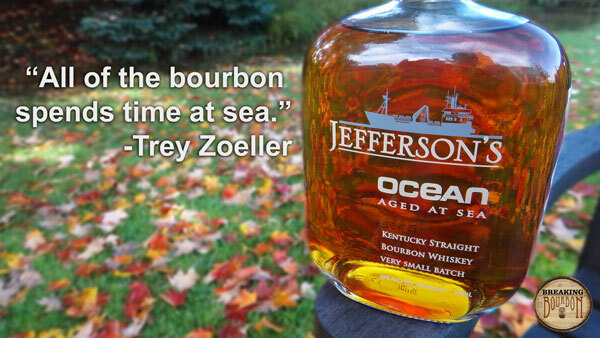 Is it or will it eventually be just an ocean-aged versions of your standard release of Jefferson's bourbon? ‍Trey Zoeller: That is a great idea and one that I would consider. 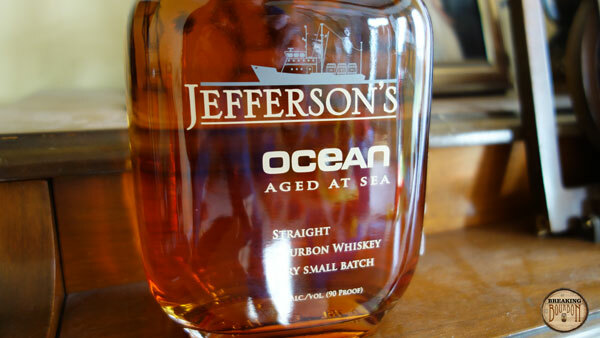 It is one of the bourbons that we use in the blend of Jefferson’s, but no it is not an Ocean aged version of our Jefferson’s release. Breaking Bourbon: These are just a few of the questions we have. We think in general, as you probably know, this bourbon seems to sell fairly well but sees quite scrutiny from the enthusiast crowd. We went into this with open minds and really enjoyed Voyage 2, but moving forward into Voyage 3 and beyond with little info available and a different flavor profile it is really starting to appear as an overpriced bottle of bourbon with a ship on the bottle and a story that applies to only the very first releases. We'd love for you to prove that wrong. 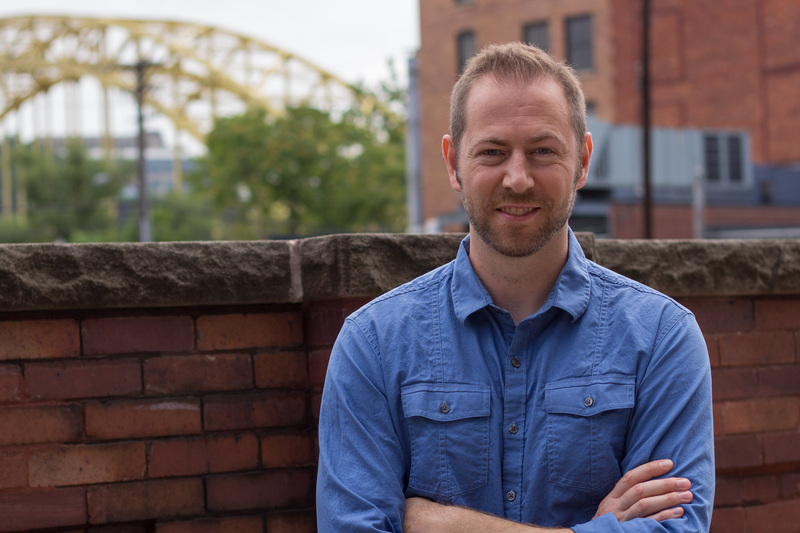 ‍Trey Zoeller: As you asked if this is “just a marketing strategy”, no it is not. True it has a good story, however taking the time and expense to load barrels onto a ship to have to stop at 30 ports, cross the equator 4 times (making sure it is exposed to intense heat) and touch 5 continents does a number of things to the bourbon that typical maturations do not allow. These include the constant contact with the barrel as the liquid is constantly sloshing within the barrel, picking up color, flavor and using the barrel as a filter taking out the stringency of the alcohol, notice the finish similar of a very oaked aged bourbon with an incredibly easy finish. We had the barrels reverse-engineered from a cooperage and they said they have never seen sugars caramelized like they do in these barrels, obviously giving big caramel flavors. The barrels also breathe in the salt air adding a briny flavor not available in KY.